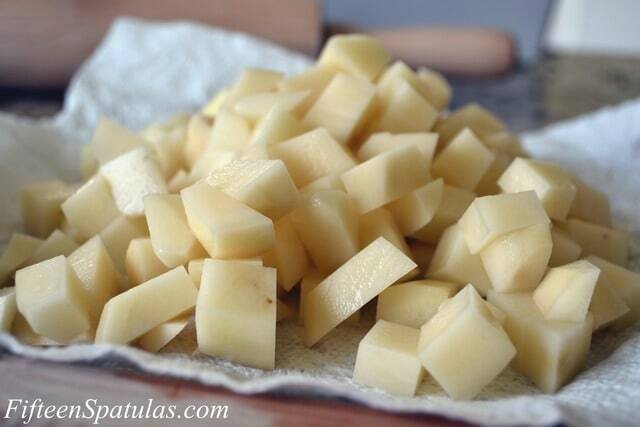 Russet potatoes are cut into cubes, then cooked simply with olive oil, paprika, cayenne, salt, and pepper. They’re great with eggs in the morning! 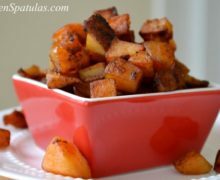 I am always looking for ways to make things crispy with very little oil, and this recipe is a good one for crispy and delicious potatoes. The keys to making them crispy is to dry the potatoes well, use a nonstick pan and to cook the potatoes for a decent amount of time. 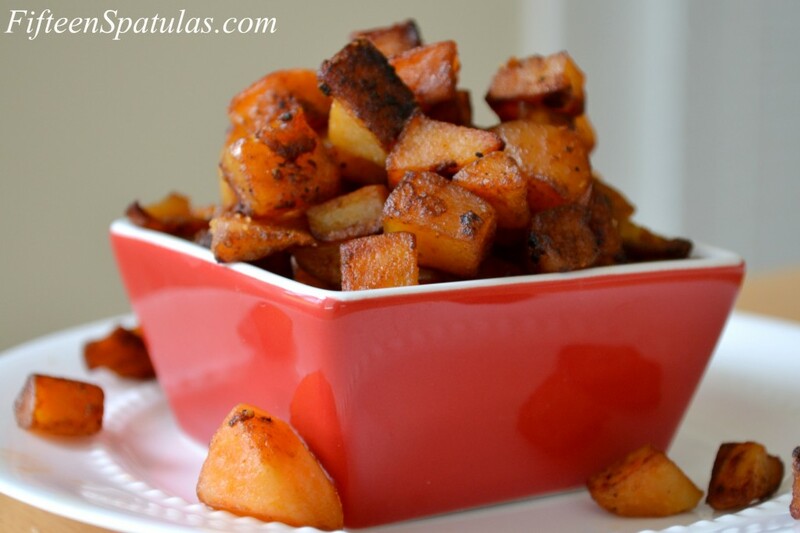 Russet potatoes are cut into cubes, then cooked simply with olive oil, paprika, cayenne, salt, and pepper. They're great with eggs in the morning! 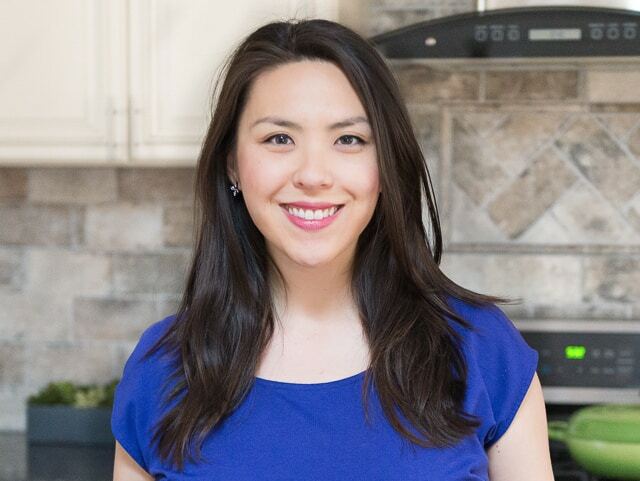 Peel the potatoes, then dice them up into small cubes (keep in mind that the smaller your cubes are, the more surface area you get, which means more crispy edges)! Grab a few paper towels and squeeze the cubes in them, trying to get the paper towel to absorb any moisture. Drier potatoes=crispier potatoes. Heat a large nonstick skillet over medium high heat, and add the olive oil. When the olive oil is shimmering, add the diced potatoes to the pan, and make sure the potatoes are in one even layer. Season with the salt, pepper, paprika, and cayenne pepper. Continue to cook on medium high for 20 minutes, stirring occasionally, then turn the heat down to medium and cook for 10 more minutes (or until you think they are sufficiently crispy on the edges and tender on the inside). Enjoy! These look lovely, my dad used to make paprika fried potatoes when I was younger but I’m sure he used much more oil than your recipe! I love paprika in anything possible and crispy potatoes are yummy. I will be making these for some nostalgic comfort without the fat!